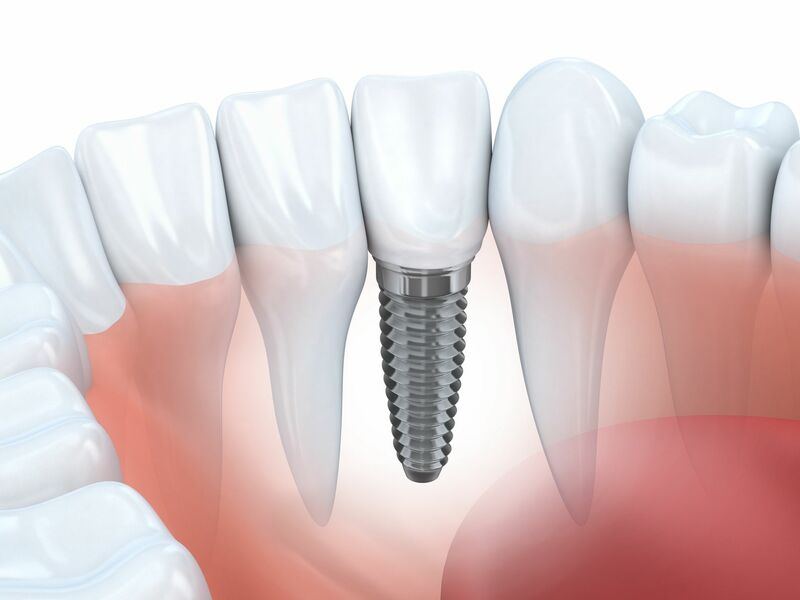 Dental implants are titanium posts that integrate with the jawbone, where they act as artificial tooth roots, offering unrivaled support for crowns, bridges, or dentures. Dr. Cadle does not perform implant surgery, but he will determine your candidacy and refer you to one of several reputable oral surgeons in the area. Then he can attach your custom-designed restoration, which will look and function almost exactly like your natural teeth. 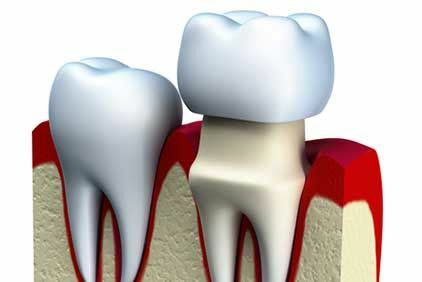 Dental crowns can strengthen and restore form and function to compromised teeth. These restorations, made from porcelain or gold, cover the entire visible surface areas of damaged teeth. 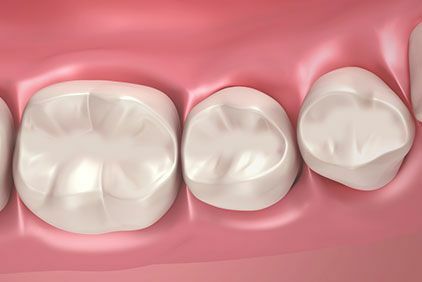 They match the shape of the surrounding teeth, while preserving the normal force of the bite. If Dr. Cadle determines that a crown is right for you, he will order your restoration from an outstanding lab, our partner for 35 years. If you are missing teeth, you have several options in addition to implants, described above. 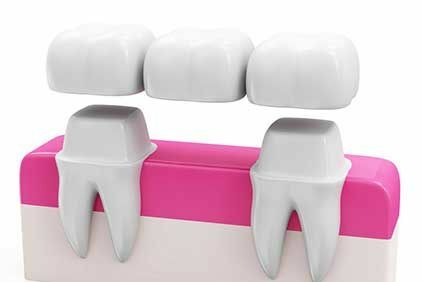 A fixed bridge is a common choice to replace one to three consecutive teeth. This type of restoration, made from several crowns, will rest on the nearby teeth. 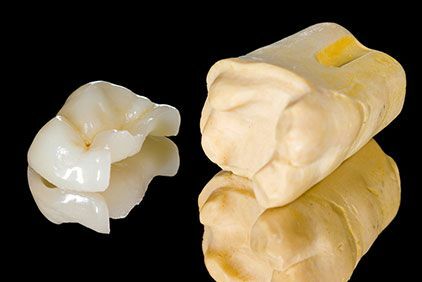 Like crowns, your bridge can be made of porcelain or gold. Tooth-colored bridges will blend seamlessly with your natural teeth. 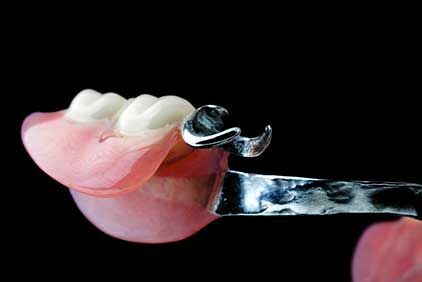 Partial dentures are another option to replace several missing teeth. Typically, this restoration will be a good choice if you are missing more than three teeth or if you have several gaps in your smile. Your partial denture will be removable. It will have small metal clips that will connect to your nearby teeth. A plastic base will fit around your gums, matching the color of your soft tissues. 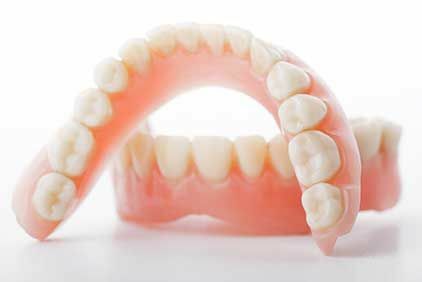 Traditional full dentures can replace all of the teeth on your upper jaw, lower jaw, or both. Like partials, they will have a plastic base, chosen to match the color of your gums. Dr. Cadle will design your denture so that it fits securely and comfortably. He will also consider your overall appearance, providing dentures that fill in your facial contours. Your denture will restore your smile and most of your dental function. Inlays and onlays are conservative restorations that will preserve more of your tooth structure than dental crowns. Made of porcelain or gold, an inlay will go in the space between the cusps. An onlay will go on the cusps and down the sides of your tooth. Both restorations can cover cavities that are too large for fillings, and they can also repair structural damage, such as cracks. In most cases, fillings are the optimal solution for cavities. Before placing a filling, Dr. Cadle will clean out bacteria and compromised tissue. Then the filling will seal the space so microbes cannot get back inside. We use tooth-colored composite, which will not affect the appearance of your smile, even after several years. This material will also bond more securely to your tooth. If you have a large number of missing teeth, widespread decay, or multiple damaged teeth, consider full mouth reconstruction. Dr. Cadle will help you choose several restorative procedures, and, in some cases, he will suggest cosmetic dentistry, as well. When planning your reconstruction, Dr. Cadle will consider your health needs, budget, and the look of your smile.